Glow has returned to the Cleveland Botanical Garden for the season, and it’s the perfect place to take your kids for a cozy, festive and educational outing. Where the magic of Glow really comes into play is in its many seasonal attractions, including dozens of holiday trees decorated by affiliate garden clubs and a delicious-looking lineup of gingerbread houses hand-crafted by local families and professionals. The structures range from cozy cottages to elegant castles, with a few recognizable Cleveland landmarks in the mix. My 5-year-old son enjoyed getting an up-close look at each house before choosing his favorites in two categories: his favorite building design, and the one he’d most like to eat. On the second level, we found a model train display, make-and-take children’s crafts, and the Evergreen Adventures family play area. All of the toys and activities were nature-themed and very hands-on, which was great for keeping the kids busy and interested in the garden’s overall message. 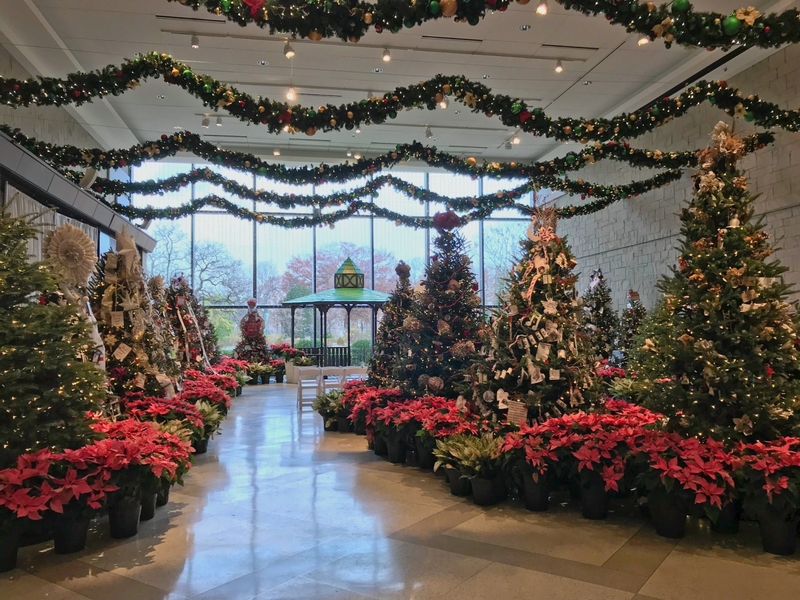 Before you leave, don’t forget to snap a selfie or family photo in front of the two-story-tall fir tree, artfully decorated in a gardening theme, in the main entrance. And check out The Garden Store for unique holiday gifts ranging from apparel and jewelry to home and garden decor. The Botanical Garden’s expanded outdoor winter light display glows even brighter on select nights that offer extended evening hours. In addition, special events are planned throughout the season, such as Breakfast with Santa (December 16); Gingerbread House Workshops (December 22); and Glow Sensory and Mobility Friendly Day (December 30 from 10 a.m.-noon). Glow takes place at the Cleveland Botanical Garden through January 5. For hours and information, visit cbgarden.org.